Get Involved ~ Volunteer Today! In 2013, volunteers gave 3,830 hours of their time. Volunteers are the heart of what we do … and the way our mission becomes reality on the ground. If what we are doing “speaks to you”, consider making a difference by using your time, talents and caring heart to benefit The Singletons’ families. There are a lot of ways to volunteer, before you can volunteer we ask you to attend one of our Volunteer Orientations, held twice a month in our office. You will receive detailed information about all opportunities and their requirements. The Events Calendar lists dates and details of all our volunteer and fundraising events. We provide Singletons’ Moms and Dads with nutritious, well-balanced pre-prepared meals for the family. Meals are purchased from our partnering commercial meal kitchen, Dream Dinners and prepared by volunteers at super-fun Singleton Kitchen Meal Preparation events. Check out the Events Calendar for dates and details. Singleton Kitchen Meal Preparation events are scheduled as private corporation team building or group events; email contact@thesingletonsaz.org for more information on scheduling a Singleton Kitchen event. We have several Committees that support our programs and other activities. Singleton Kids: Committee members host quarterly events for the Singleton Kids. Finance Committee: This committee, which meets quarterly, is responsible for budgeting, financial reporting, and fiscal recommendations to the The Singletons Board of Directors. Event Committees: This committee supports signature fundraising events. Committee members engage in tasks such as soliciting silent auction donations, managing registration, and helping with set-up and tear-down of events. Marketing Committee: This committee works to create community awareness of our mission and works collaboratively on the development and implementation of funding strategies. The Singletons relies on our exceptional Board of Directors to provide the vision and direction that has made Singleton Moms an extremely vital and valuable asset to our community, and especially to the families we serve! Colorado Rockies' Wives Came Sliding in to Singleton Moms! Sarah Logan and her kind-hearted friends spent one whole morning completely reorganizing one of our messiest rooms. We now have birthday and school supplies right at our fingertips. You ALL hit it out of the park! We are grateful. 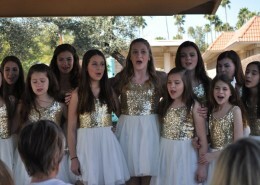 https://www.thesingletonsaz.org/sing-content/uploads/Rockies-Wives-Volunteers-2016.jpg 166 221 Singleton Moms https://www.thesingletonsaz.org/sing-content/uploads/The-Singletons-Logo-sm.png Singleton Moms2016-03-03 10:51:392016-03-29 10:53:06Colorado Rockies' Wives Came Sliding in to Singleton Moms! 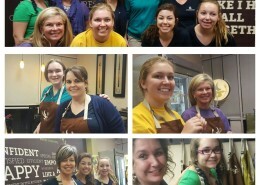 National Charity League of Scottsdale was in the Kitchen! 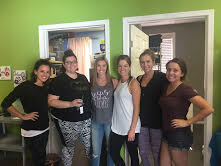 https://www.thesingletonsaz.org/sing-content/uploads/NCL-Kitchen-Prep-2016.jpg 1309 1309 Singleton Moms https://www.thesingletonsaz.org/sing-content/uploads/The-Singletons-Logo-sm.png Singleton Moms2016-02-22 12:50:262016-02-23 12:50:57National Charity League of Scottsdale was in the Kitchen! Bikers for Boobies held another awesome ride at Harley Davidson in Scottsdale! Singleton Moms had so much fun volunteering and we are so appreciative of their continued support. Please note that of some of our Kitchen events will be fully booked in advance, so check the date or contact the office to find out which date is available.